The egg that has amassed a following of 8.8 million in little over a week has now started to crack. 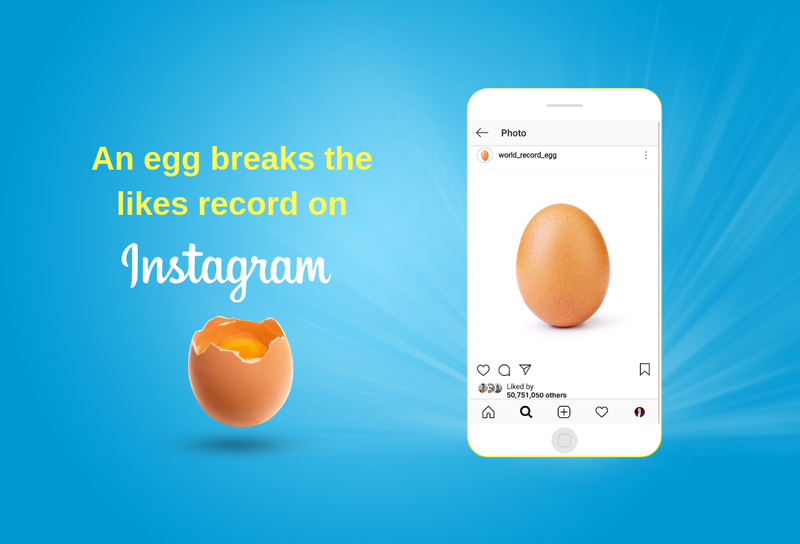 10 days later on Monday 14 January, the photo of the egg duly surpassed the reality TV star’s total, reaching 50 million likes during that afternoon. By having a strong network, the egg account was able to utilize shoutouts ( on stories ) and shares to get its page recognized by millions very quickly. If you’re looking to grow your page quickly, make sure that you have informative content on it and then connect with individuals who have similar markets and can offer a shoutout. On the post of the egg, various online influencers were tagged : pewdiepie CNN , theellenshow (tv show), jimmyfallon (comedian), buzzfeed (viral news) and more. Digital Marketing in 2019 is already proving the importance of social media in brand recognition and global awareness. By integrating interactive features, you too can engage your users and promote their unified action toward a common goal, increasing the overall buzz.